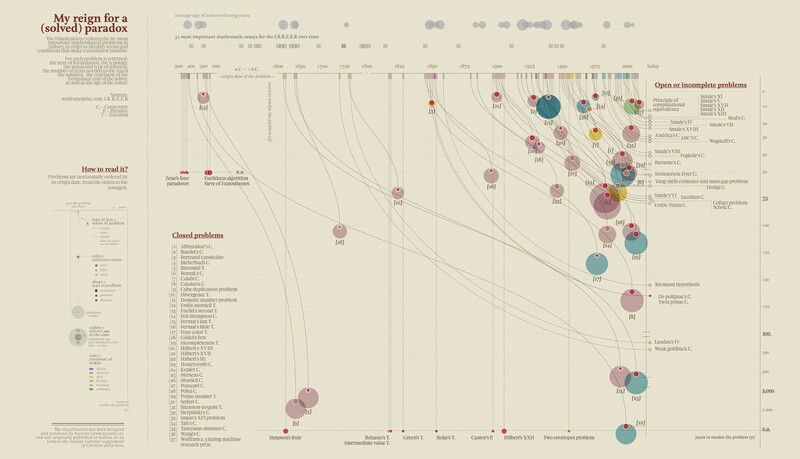 Information Design is playing an increasingly critical role in everyday journalism. 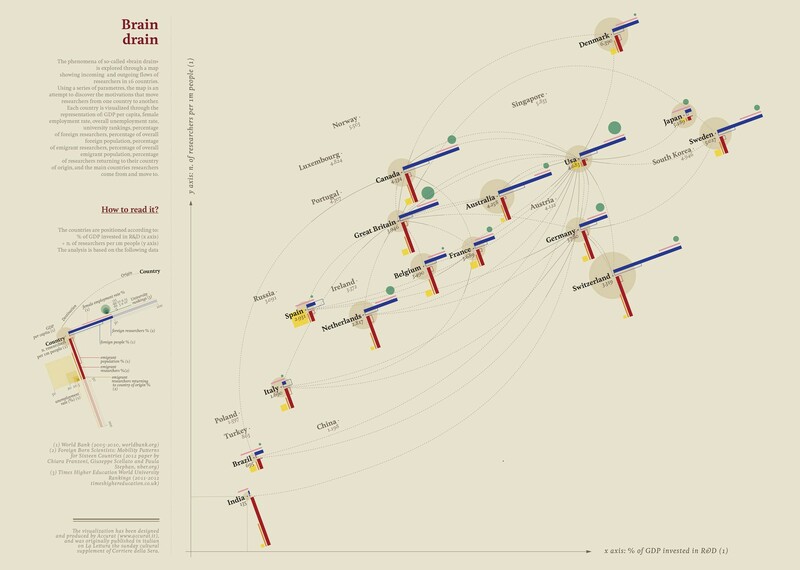 The movement from word and picture to “words within diagrams” is building a new form of truth-telling and storytelling — and with it, a new journalistic aesthetic. 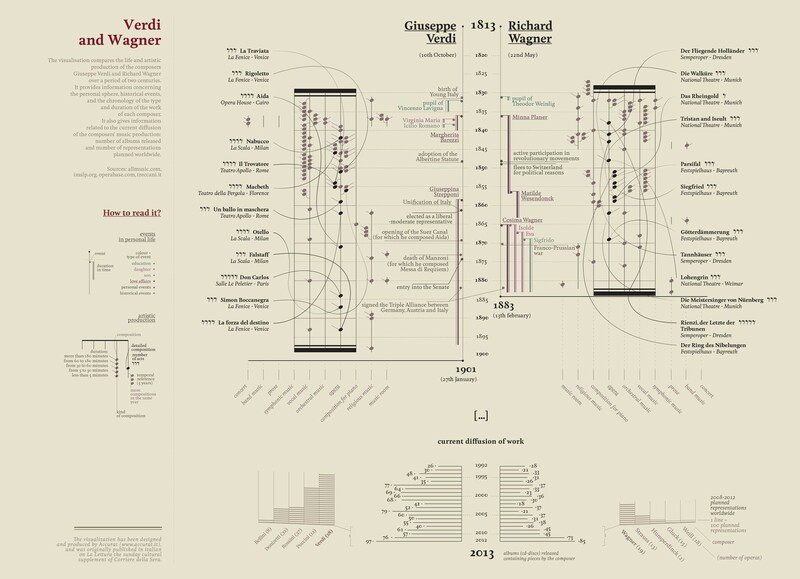 At Accurat we’ve been working side-by-side with the newsroom of Corriere della Sera for more than 2 years, designing a series of of exploratory data-visualizations originally published for La Lettura, their Sunday cultural supplement. We aim to deliver rich visual narratives able to maintain the complexity of the data while making this complexity more accessible and understandable. 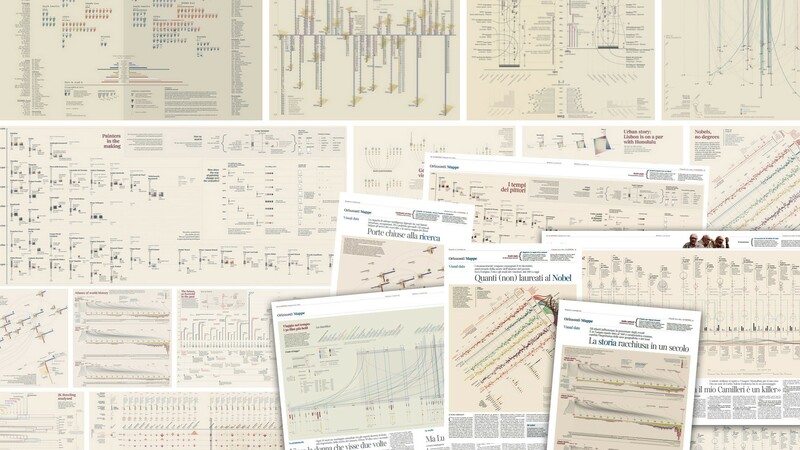 Simply put, we publish compound and complex stories told through data visualizations. 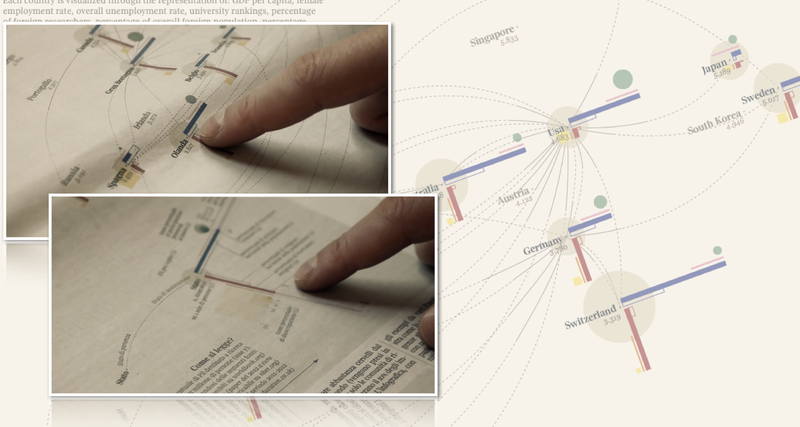 Within this collaboration we always aimed at opening new perspectives in the newspaper-editorial field, and higher aim at educating readers’ eyes to get familiar with new visual ways to convey the richness of the data stories we are telling rather than simplifying them. This article will elucidate and share our design method, based upon layering multiple sub-narratives over a main construct, through a dissection of the spatial build-up of the visualizations; it draws from different contributions I published on the Parsons Journal for Information Mapping, on the recently published “New challenges for data design: articles & interviews” Springer book, and by talks I delivered at the Eyeo Festival, Resonate Festival and Visualized Conference. La Lettura is the Sunday cultural supplement of Corriere della Sera, the highest circulation newspaper in Italy. The supplement is conceived as a collection of long-form articles about cultural and sociological phenomena, new media and communication related topics. The aim of the issue is to provide readers with a product they can read throughout their week, with deep essays usually written by sociologists, professional writers, art and literature critics, historians, philosopher or modern thinkers. 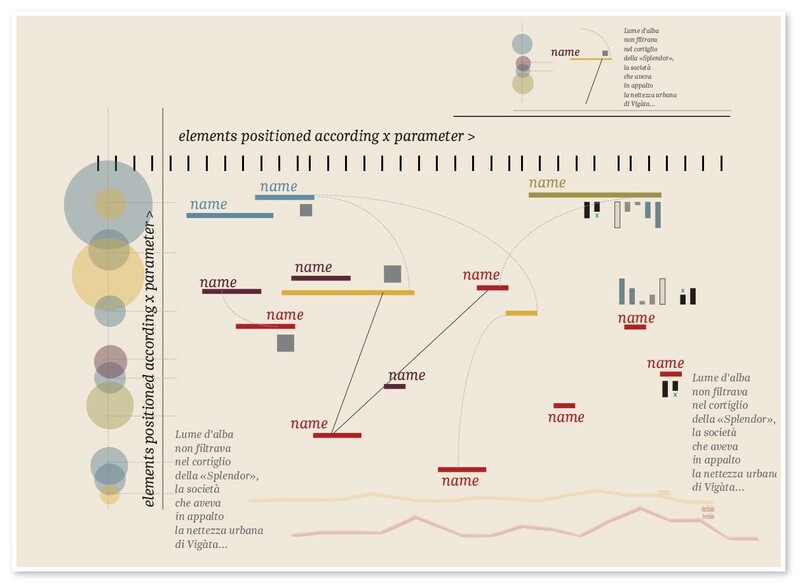 We here try to push the boundaries of what visualization can do on data with multiple attributes and a high density: we are not going for simple diagrams to express basic concepts, we somehow instead embrace complexity. For each story we consider and pursue a topic we believe may be of particular interest to explore, ranging from current affairs to historical or cultural issues. Sometimes choices are driven by a fascination we have, sometimes by a compelling dataset we find and we would start from, other times we choose to present events and topics that are hot at the moment. We then analyze and compare different kinds of datasets trying to identify and reveal a central story, hopefully a not-so-expected one. We start from a question or an intuition we have and work from here, then try to put the information in context and find some further facts and materials to potentially correlate. Every time we aim at moving away from mere quantity in order to pursue a qualitative transformation of raw statistical material into something that will provide new knowledge: unexpected parallels, not common correlation or secondary tales, to enrich the main story with. In this respect our work here cannot be considered data-visualization in the pure sense: we are not just providing insight into numbers but into social issues or other qualitative aspects as well. In addition, since we publish on a full-spread format within the cultural Sunday supplement of the highest circulation Italian newspaper, the leading narrative and the visual ways through which we display information have to be both catchy and attractive: once the first attention of the audience is “caught” by the aesthetic features of the image, the presentation of the information must be clear as might be expected. we also like the idea of providing several and consequent layers of exploration on the multiple dataset we analyze. 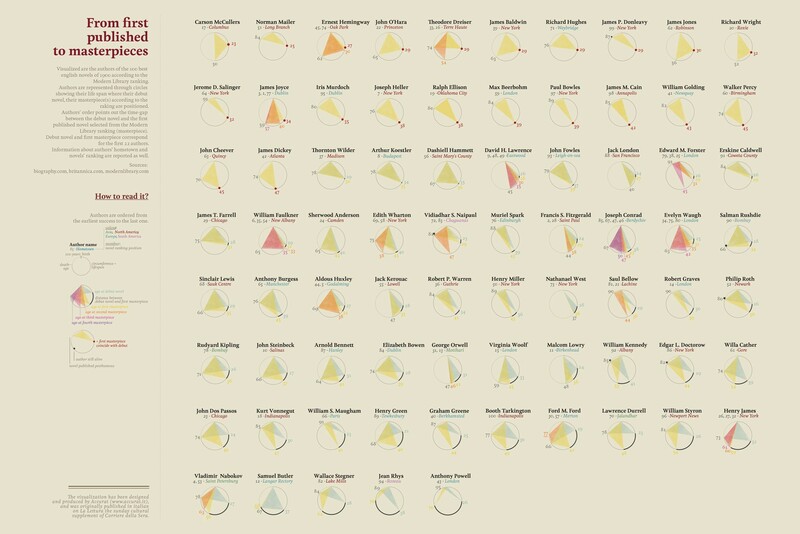 We call it a “non-linear storytelling” where people can get lost in singular elements, minor tales, and last-mile textual elements within the greater visualization. 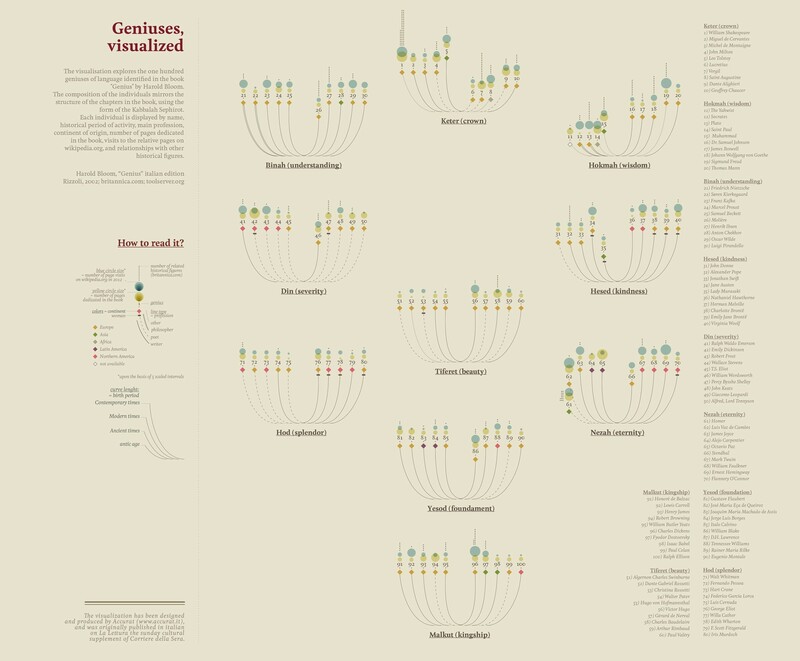 To achieve this multi-layered storytelling with data even when visualizations are static and printed, everything depends on the concept of layering, establishing hierarchies and making them clear: this is the case for both the data analysis (the stories we desire to tell), and the visual composition (i.e. the main architecture and the aesthetic value we desire to present), inviting readers to “get lost” within the narrative(s) and engage at deeper levels. Our design method, based upon layering multiple sub-narratives over a main construct prescribes this specific phenomenon. The following is a dissection of how we build our pieces, where the editorial process of selecting, analyzing, comparing, building hierarchies, etc., is in direct conjunction to the visual development of the layers. 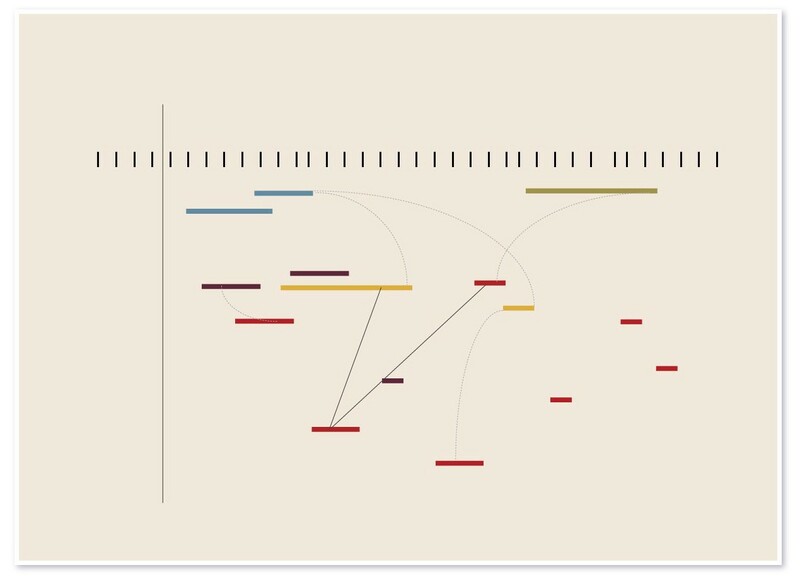 Composing the main architecture: this acts as the formalized base through which the main story will be mapped and displayed, upon this, one will see the most relevant patterns emerging from the story: the essential “map” that conceptually identifies where we are. This base is essentially a matrix or pattern that will serve as our organizer. It may be composed of cells, or distances, or other interrelated multiples. 2. 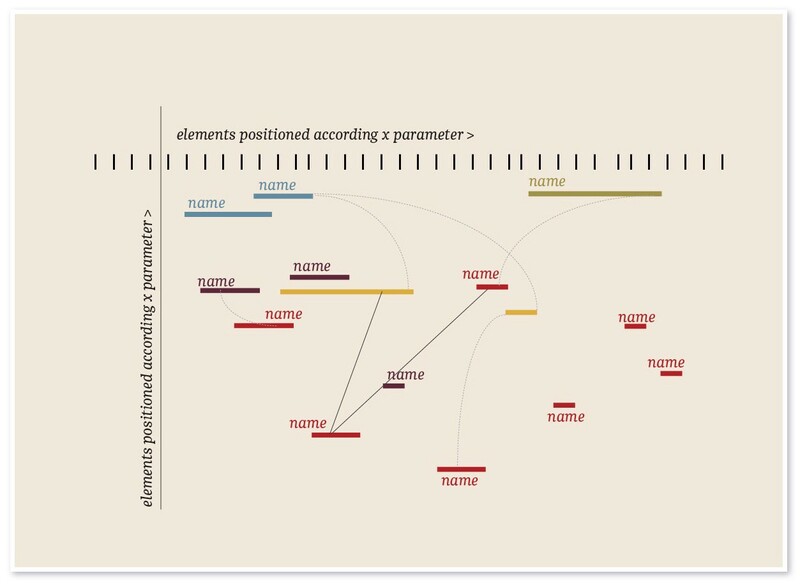 Positioning singular elements within the main framework. This process will test the effectiveness of the main architecture; the placement of elements reveals or confirms weaknesses and strengths, which may lead to modification of the main architecture. Constructing shaped elements of dimensionality and form (essentially polygons) with quantitative and qualitative parameters and positioning these within the main architecture. As these elements have form they must also be identified through colors according to opportunities to establish categorizations, thus advancing clarity and relationships that serve to enhance the story. These links, directives, and qualifiers serve to give the story a comprehensive texture and correlate dependencies within the story. Through the addition of explanatory labels and short texts we provide requisite last mile clarity throughout the presentation. 6. Supplementing the greater story through the addition of minor or tangential tales elements. We consider this a very important step to contextualize the phenomena in a wider world. These components link the story to external ideas, other times, or other places. Elements that are rendered here may come from very diverse sources — analysis that is undertaken once we have strongly established the core story. These elements, which may take the form of small images, textual components, graphic symbols, etc., are to be located where they best help to enrich the overall comprehension: they must not distract from the main story. 7. 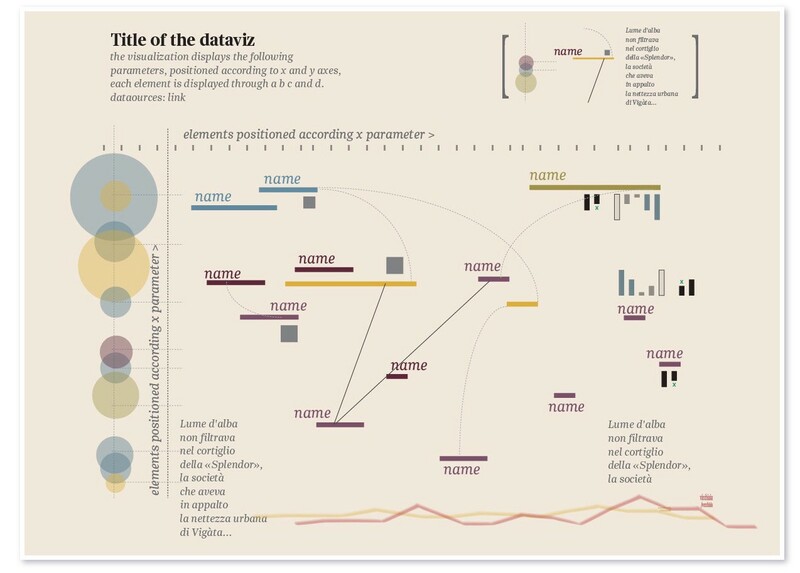 Providing small visual explanations such as a legend or key that assists readers and the general public who may not be familiar with norms of data visualization. These are composed to enlighten the layered idea of the visualization, often constructed as miniatures of the layers themselves. The process usually involves simplification of the general architecture (e.g. 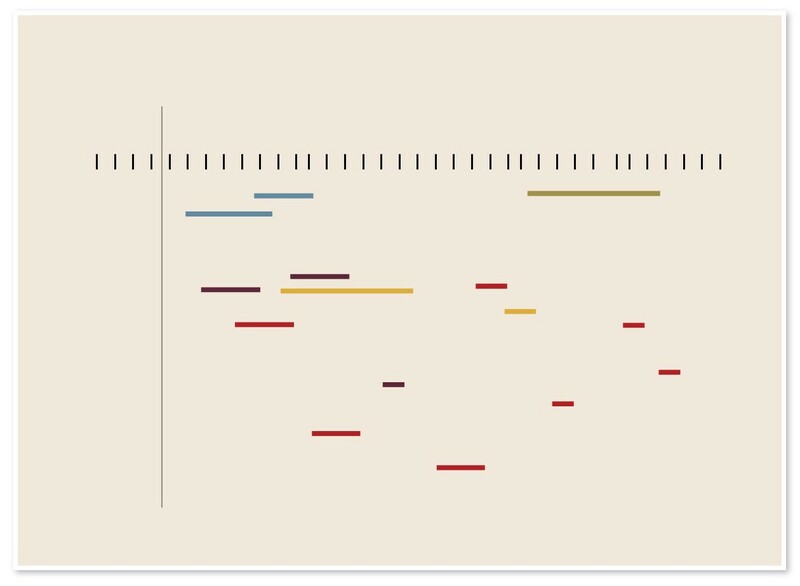 the x and y axes, base timelines, or map components) as well as minimal explicit shapes, colors, and dimensions of singular elements. These explanations also provide units of measurement for distances and volumes, etc. 8. 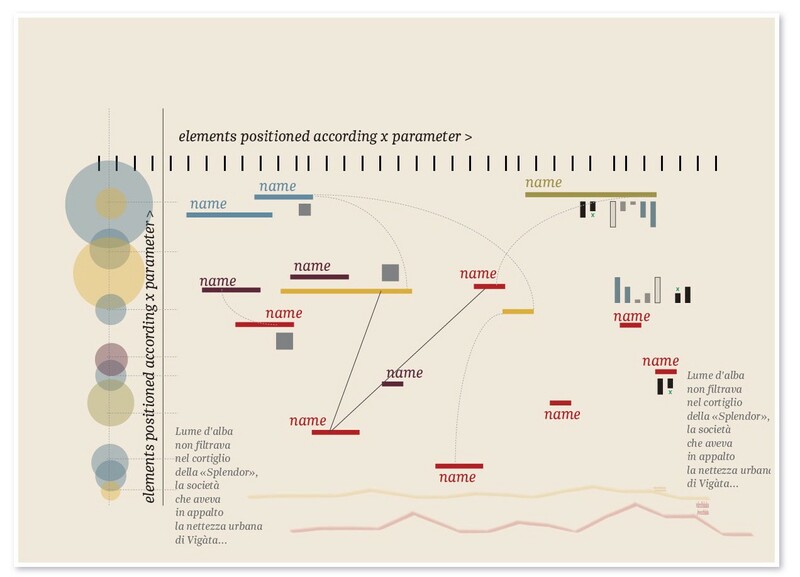 Fine-tuning and stylizing of elements’ shapes, colors, and weights to make hierarchies pop out. 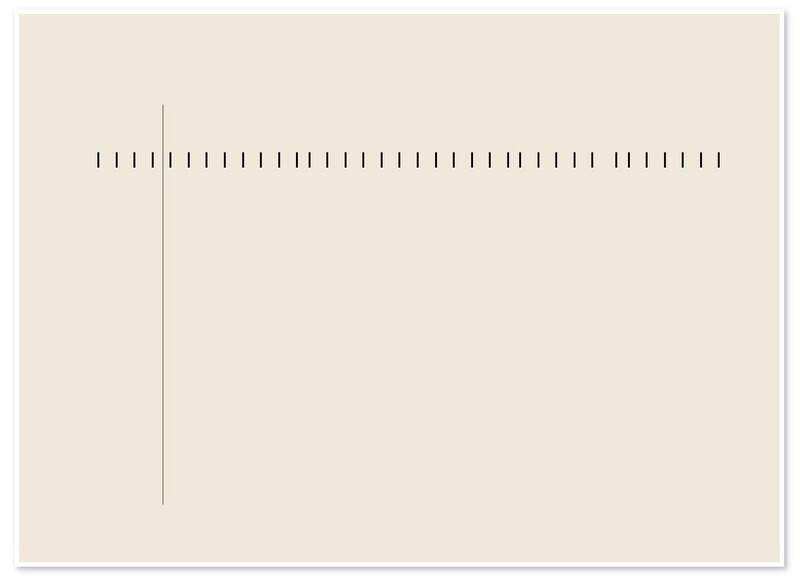 By visually highlighting the most relevant elements and lightening the other background layers of information, we should be able to allow information to be selectively and sequentially revealed, helping readers discover stories by themselves and recognizing the patterns or interrelationships from one element within the story to another. Is the process always so linear? Obviously, the answer is no. 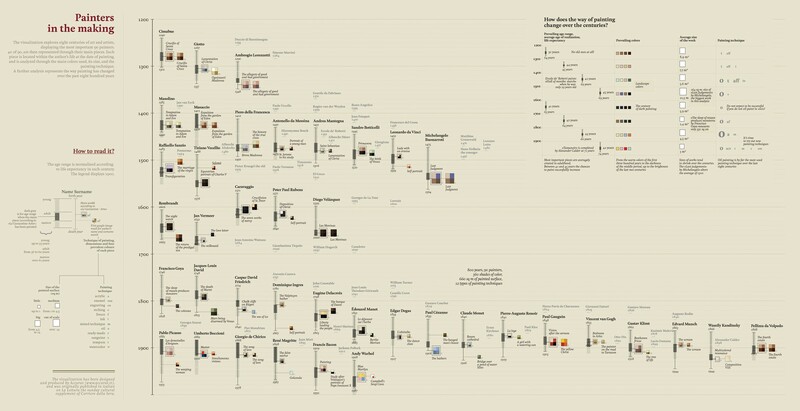 It is a constant iteration of explorations and a mixture of different approaches we can start to resolve the design problem with; with the constant goal in mind to allow people understand the stories, or, better said: see the stories. 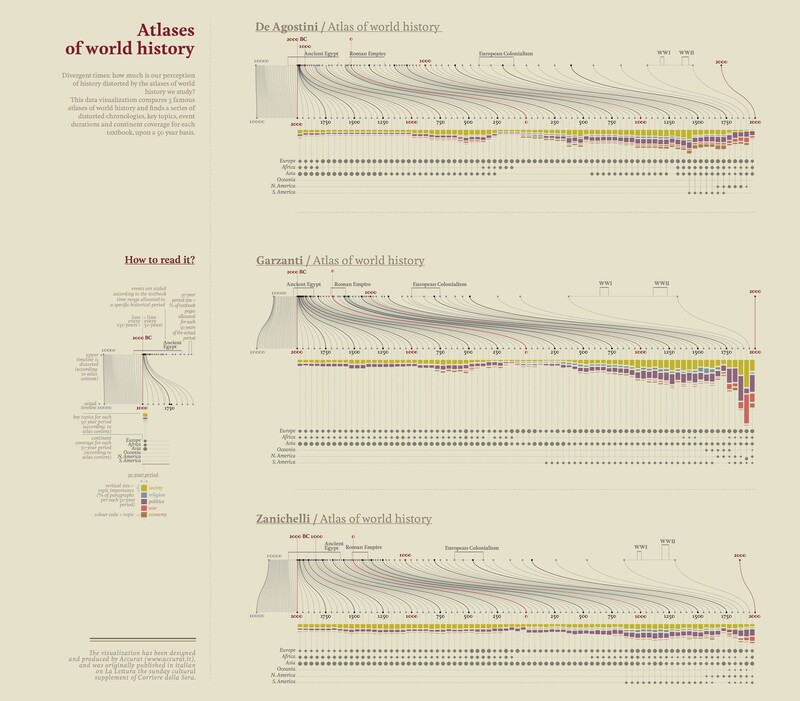 Whenever the main purpose of visualizations is to open readers’ eyes to new knowledge and to reveal something new about the world, or to engage and entertain the audience about a topic, it’s impractical to avoid a certain level of visual complexity indeed. The world is complex, compound, rich in information that can be combined in endless ways, therefore catching new points of view or discovering something that you didn’t know before often cannot happen at a glance: this process of “revelation” often needs and require an in-depth investigation of the context. 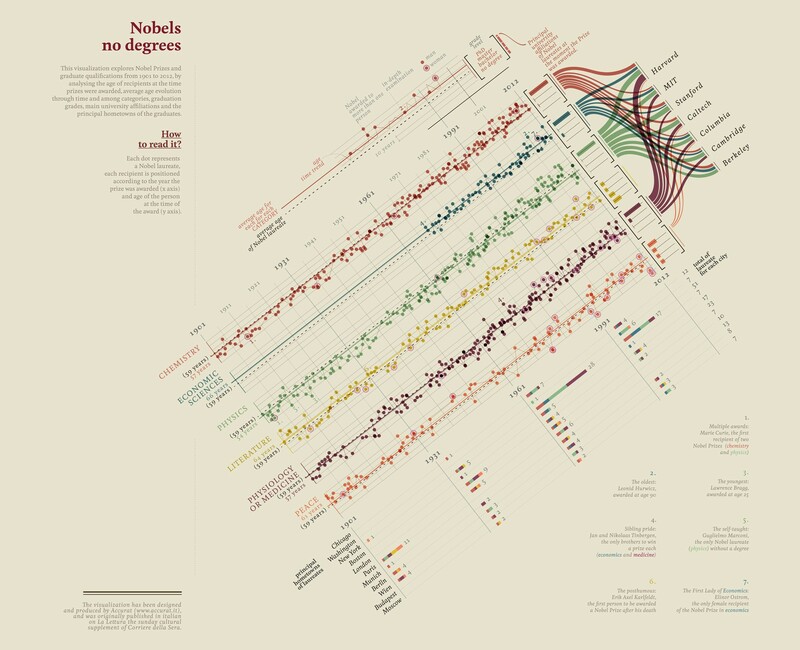 Consequently, we like to think at these kind of data visualizations we presented as visual ways to convey the richness, the involvement and feelings (being engagement or concern) that we experience in our everyday lives rather than simplifications of the world. 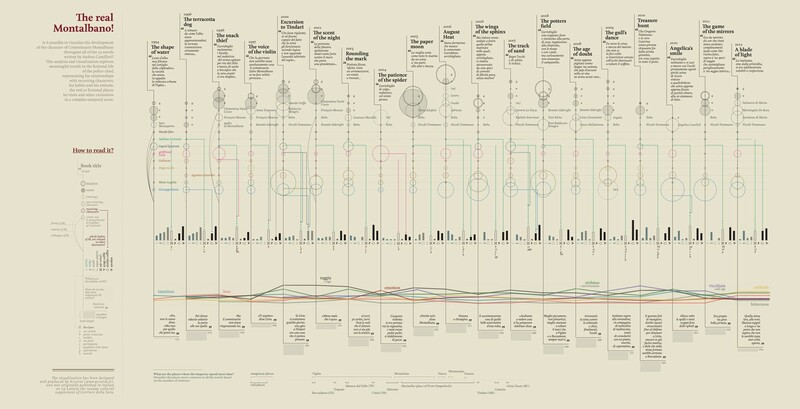 One of the important challenges for data-visualization design nowadays is to experiment on and find proper ways to express the data complexity, and more broadly the complexity and the multiple possible interpretations and contextualization of any phenomena in the contemporary world; which in opposition to reductions require the comprehension of the relations between the whole and the parts, at any time. And, as in the physical world, aesthetics plays an important role in shaping people’s reactions and responses to any products, acting as the bridge between it and people’s emotion and feeling. Since the goal here is neither to visualize data for rapid decision making processes, nor are we representing information for scientific purposes, the opportunity to experiment with new visual metaphors is wide open, and the exploratory nature of this work is clear. 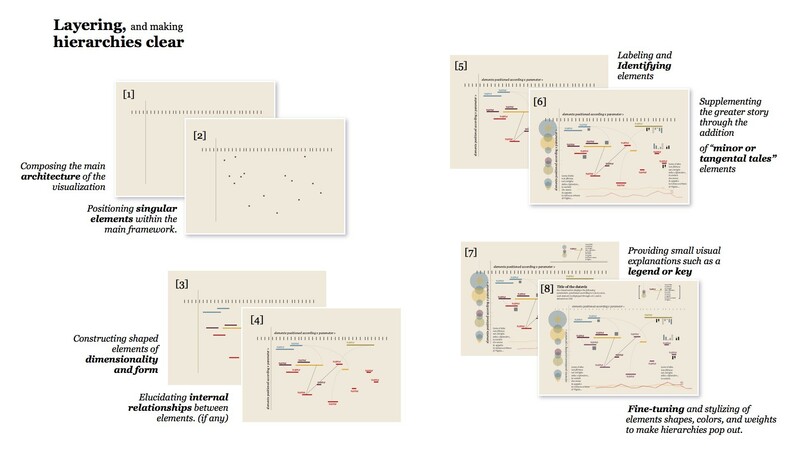 We can, every time, try to push forward how we can “compose” data visualizations that achieve (in our idea) aesthetic beauty and elegance through new visual metaphors, intentionally avoiding typical and already tested styles of representation. and to the willingness to explore the piece. 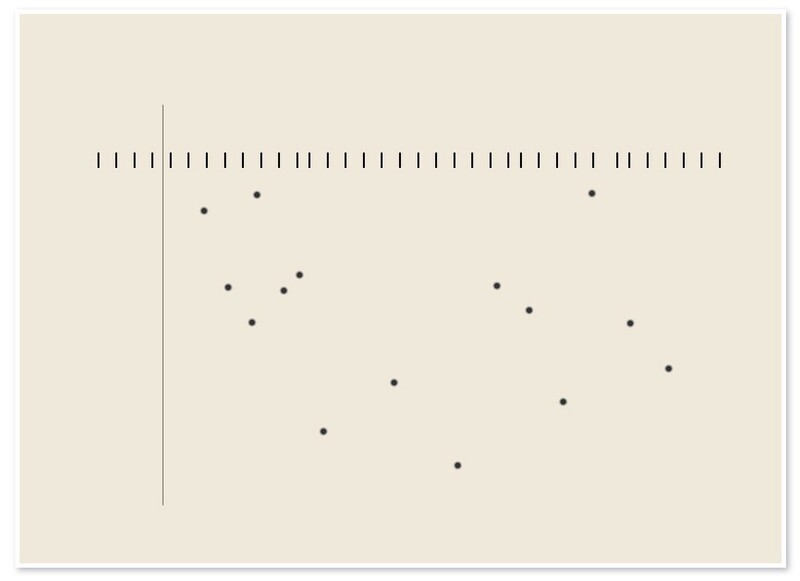 Many times standard visual models like bar charts, scatter plots, regular timelines and maps are the best way to convey data and messages indeed. To us, that doesn’t mean they are “an end”, though. We here simply believe that keeping on exploring the realm of possibilities in the representation of information, could lead up to refining and perfecting the core of this “science”, of this field, even passing through failures and mistakes. We are moving fast towards infinite possibilities for data analysis and display, with theoretical models, abstract formal languages, and open knowledge developed in other disciplines more than available to get inspirations from. With this body of work we try to test and to understand what works and what doesn’t, what people like and what they don’t, and how we can even think of educating readers’ eyes to some new visual metaphors and models. Drawing the parallel with arts such as painting and music through centuries we know how much these disciplines have been able to constantly re-invent themselves even when a reinvention was not strictly necessary, opening new worlds and possibilities. The interesting question to us here is: how far we can go? A very special and sincere thank to Professor William Bevington who made me think critically about what I was doing and about my mental process, and who knew it all well before me, helping me shaping all this and putting it down on paper. Thanks to Shana Kimball and Gabriele Rossi.